Global warming, pollution, food shortage, security, and health care are major issues facing us and our planet. These global challenges have inspired scientists and engineers to design materials, processes, and enabling tools that mimic nature and are less intrusive. The aim of the Handbook of Biomimetics and Bioinspiration is to serve as a reference on synthesis, modification, assembly, packaging, transportation, targeting, and recognition at their destination, conservation of information and response to foreign invadors, the creation of a dynamic living system from these assemblies, and the use of the principles governing biological systems for creating novel biomimetic systems. 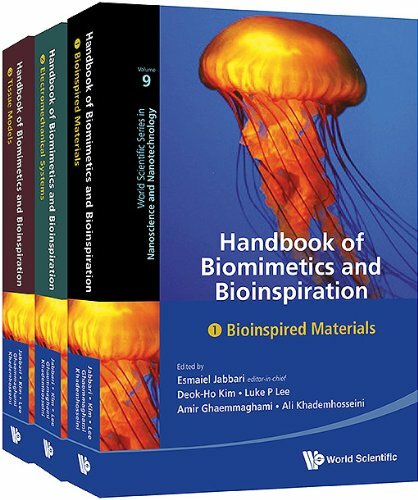 Presented in a set of three volumes, this handbook covers biomimetics and bioinspiration within the scope of materials, mechanics, dynamics, transport, chemical reactions, control, recognition, and informatics.